A couple of you are having issues with selecting our affiliate or team in the drop downs. I went through the Affiliate Manager process again with the site so please try again. If you are still having issues please let me know so I can email CF Games Support to have them try to fix it. Open WOD 16.1 will be announced this Thursday at 5pm and we will have it live on the TV in the lobby. Come join in the excitement/horror at what awaits us all! The WOD will be programmed on Friday all day for all classes. Make-ups are to be coordinated in advance so the coach can be prepared for having a judge and any logistics planned. Make-up times can be requested if you are unable to make a Friday class. You have until Monday at 5pm PST to submit your score correctly. 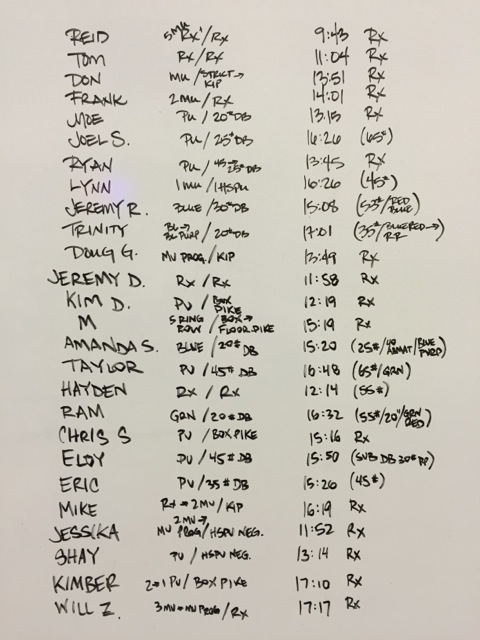 Don’t be the person that every year does an Open WOD and forgets to submit their score on time and gets a “0” or DNF for the Open. We will repeat this each week for all 5 weeks of the Open. 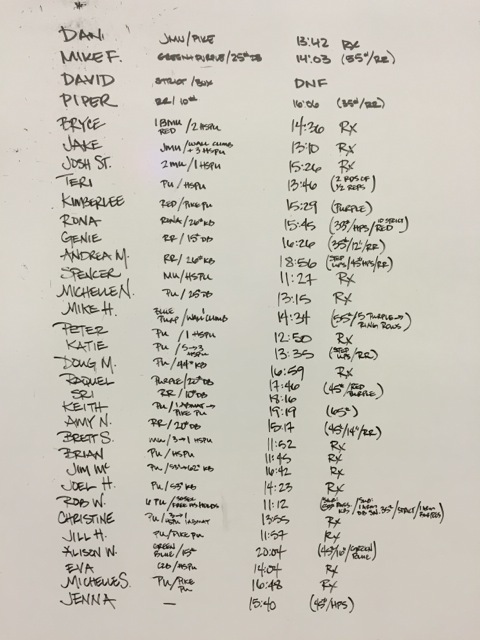 Many people choose to complete their Open WOD on Friday in the PM Classes. We encourage people to make that time their fitness festival, their Exerciseapalooza, or their Happy Hour where you can bring some drinks and laugh at everyone else as they freak out prior to doing a workout that is basically what we already do everyday just with different movements, loads and time domains. Meaning CrossFit. If you are registered then you will be able to choose to perform either the Open WOD as Rx’d or Scaled. There are two versions. If you choose the RX version you will complete as many RX reps in the specified time. If you cannot get past a certain movement then your official score will stop there. To get a good workout we encourage you to scale from that point to improve your fitness. 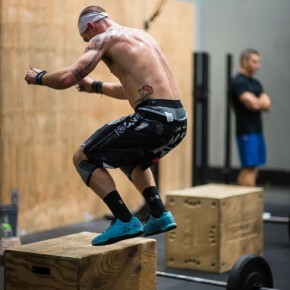 If you are choosing the Scaled Open WOD then you must not scale the WOD any further than it is specified to post a valid score. If you cannot get past a certain movement then your official score will stop there. To get a good workout we encourage you to scale even further from that point to improve your fitness. You will get to decide each week whether you are RX or Scaled. During the entire Open we will have a 6am Class time on M/T/W/F and no 6am Thursday class. This will begin this Friday and will allow for Friday and Monday options to complete the Open WOD for the early risers.